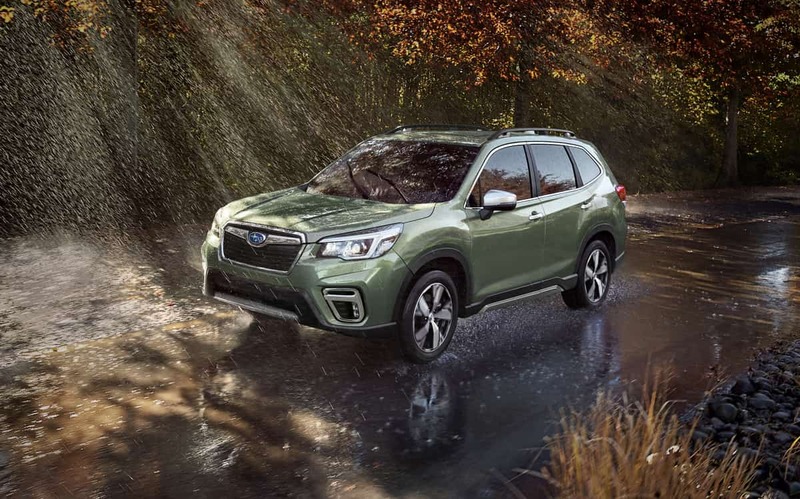 When Subaru announced the new fifth-generation 2019 Forester, they left out two features loved by fans. Subaru Corporation axed the 6-speed manual gearbox and the Forester 2.0XT turbo model. Why did the Japanese automaker get rid of the two popular models? Subaru Corp made the decision to ax the Forester 2.0XT with 250 horsepower. They likely made the decision to kill the sporty 2.0-liter turbocharged model because of slow sales, and more importantly fuel mileage. The new 2019 Forester will get up to 33 mpg on the highway, and will also let a driver pick between “Intelligent” and “Sport” driving modes, With Intelligent smoothing out acceleration to save fuel, and Sport makes things peppier. The 2018 Subaru Forester 2.0XT could only muster 23/27 city/highway mpg and 25 combined mpg and required premium unleaded fuel. The outgoing 2018 Forester naturally aspirated 2.5-liter boxer engine with a 6-speed manual gearbox was even worse and had an EPA fuel mileage rating of 22/28 city/highway and 24 combined mpg. The other big reason Subaru killed the 6-speed manual is that Subaru’s number one priority is consumer safety. All new 2019 Subaru Forester models now come standard with EyeSight driver assist technology. Subaru Corp has not figured out how to make the safety system work with a stick-shift, so the manual gearbox had to go. Subaru will continue to pursue safety first, and EyeSight-equipped models earn the highest TOP SAFETY PICK+ awards from IIHS. Fans who want a Forester 2.0XT turbo model, or a 6-speed manual gearbox, better get one of the 2018 Subaru Forester models because they are going away after this model year. The fifth-generation 2019 Subaru Forester will get significant improvements but arrives this fall without the sporty turbocharged XT trim or a 6-speed manual gearbox model. I am the PROUD owner of a Pearl White 2017 Touring XT modified with a 3” Stainless Steel cat-back ‘Invidia’ high performance exhaust system. It is a beautiful machine bursting with every luxury, safety and performance option Subaru offers. It is the WRX Sti of SUVs. The only reason For the Low sales number I can assertain is that so few were and are available at the dealerships to sell. In New England they are extremely rare on lots and when I purchased mine I reached out to 6 dealers within 80 miles of where I live. Nearly each dealer had to special and custom order the vehicle in Japan and then wait up to 10-16 weeks for the vehicle to arrive at the dealership. These are all made at the STI factory along with the WRXs as they share the same power trains and high performance parts. Totally a niche special order Vehicle and RARE and now a collector worthy Classic. My guess is that when the redisigned WRX STI appears with the new higher performance engine and capabilities....the new FOZ XT will Again reappear. My maxed out Forester is my 3rd Forester and 1st XT. The dealer had ordered it for another customer 2 and a half months earlier and the customer could not wait and bought a 2.5 Touring instead. My vehicle was the most expensive, highest optioned vehicle Subaru had to offer in 2017. Worth every penny. Rare company I share. "Why did the Japanese automaker get rid of the two popular models?" "because of slow sales, and more importantly fuel mileage." You answered your own question, idiot. Besides, these two features are only "popular" among car enthusiasts, which probably accounts for maybe 2% of car buyers. You idiots just think you guys are the majority. In reality, the rest and majority of buyers couldn't care less about these two features. Come back to reality. It is rather sad to make the reference of “idiot”. The 2.0XT is a beast compared to the base model. There is plenty in the base model to accomplish one’s needs. The turbo model, however, is worth every penny over the base. It is a totally upgraded and different drive. So glad that Subaru wishes to be the new Volvo with safety all the time, and performance a distant second. Heck, even Volvo realized along the way that their vehicles needed some more exciting engines! Dropping the turbo from the Forester will save them some cash along the way, but long term will cause the enthusiasts to look elsewhere, and it will be hard to get them back, and they influence their friends and relatives when it comes to car buying. While the simple answer may be at a Subaru dealership these days is to steer crossover customers that want a turbo into the new Ascent, not everyone will want something that big, and should not be forced to get the top tier crossover to just get the engine with the power that they want.